Our inquiry management feature, released in August, has had enormous success. We've processed several thousand emails and greatly reduced the amount of time it takes for owners to respond to inquiries. Yesterday, we released an update that integrates with five more listing sites. If you have a listing on any of the below websites, OwnerRez can now parse the incoming inquiry emails for you automatically. 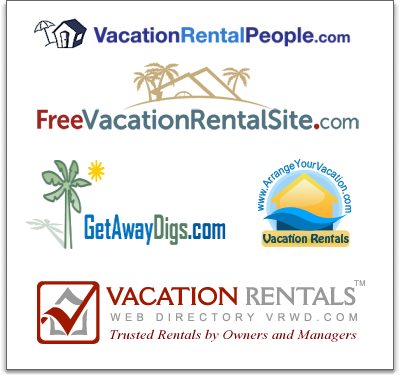 Over the next few days, I'll be posting specific information on how to integrate OwnerRez with each of these sites. Most owners can probably figure it out on their own by using the inquiry instructions page. I've never heard of these sites! Who cares about these listings? One of the themes behind OwnerRez has always been owner independence. Instead of building our software around a few major brands in the industry (e.g. HomeAway), our integration strategy is to allow for a broad range of different scenarios. We're aware that these sites don't get the same type of traffic that the bigger ones currently do, but a) most of these sites are free so it'll cost you little-to-nothing to go add your listing, b) some of these sites get better traffic in specific areas where the bigger ones don't, and c) these sites may grow in popularity over time. What other listing sites do you use that you'd like us to integrate with?